A bra is an important necessity for a woman. While a lot of women may dislike them, there is no denying that it can make your day-to-day life so much easier. The same is true when it comes to branding for your business; it’s a necessity, and one with so many benefits that it might make you wonder why you’re making life harder on yourself than it has to be by not putting the proper amount of focus on it. The reason garment companies are always trying to find new mesh fabrics, new comfortable kinds of wire, and other fashion technologies; because proper support is the entire purpose of a bra. The same is true of your company brand. Another purpose of a bra is to help achieve a certain form, or look. A sports bra, for example, may help you maintain a sleeker shape and a tighter hold so that your chest doesn’t create a problem if you’re jogging, rock climbing, lifting weights, etc. A fashion bra may help lift your silhouette, acting more like a corset than a traditional bra, altering everything from your posture on down. Your brand can do the same thing. 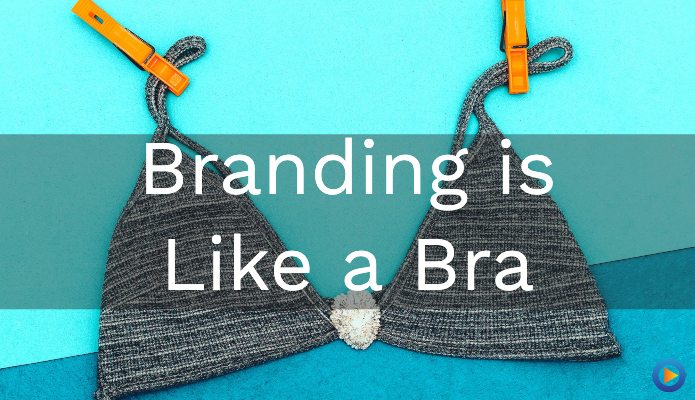 The idea is that your brand acts as a kind of underwire for your business; it helps shape and define you, making you more recognizable to your audience. Additionally, branding helps create an image for your company; an image you’re trying to fill out. Whether it’s that you offer the lowest prices, friendly service, you’re cutting-edge, or just that you are the place where people in-the-know go, it creates a niche for you. Sometimes it would even be impossible to achieve that look without the aid of the right bra… er, branding, that is. If you can find a bra that both lifts and separates, then that is a garment that will always have a place of honor in your lingerie drawer. Solid branding can provide you with the same experience… metaphorically speaking, anyway. 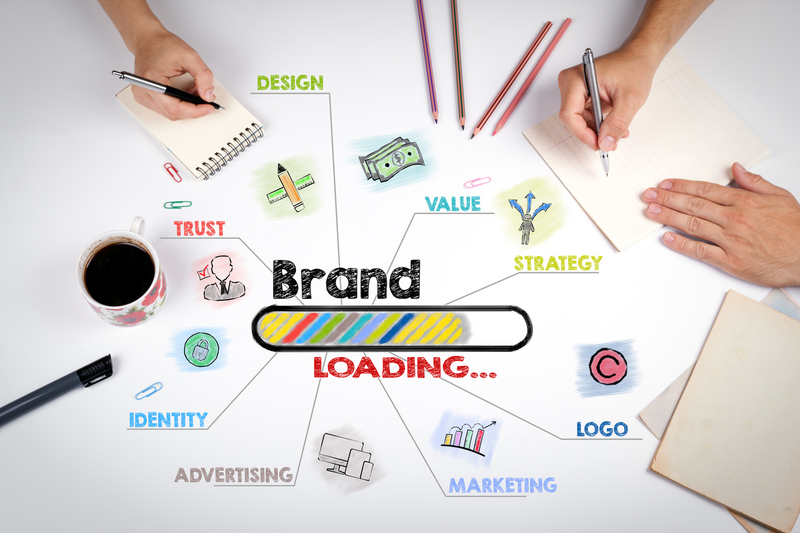 Good branding lifts you up above your competitors in the market and separates your signal from theirs in a way that people will take notice of. That kind of separation can define you and gives you something of a lead over what everyone else is doing. It makes you different in a very good, and very noticeable, way. While there aren’t any bras out there that will stop a bullet (even if they feel like they might), they can protect you in a lot of other ways. A good bra can help wick moisture away from your skin, for instance, and they can help keep you safe from accidents or your surrounding environment. They may not be lifesavers in a literal sense, but they can do a lot to save you grief, embarrassment, and frustration in your everyday life. Good branding is similar. When you have an established brand that people receive positively, it’s harder for negativity to cling to it. You can resist stains, and even recover from bad market decisions simply because of the reputation associated with your branding. It is, in many ways, like armor against a lot of the ups and downs you can experience when you depend on the market. If you’ve ever bought a cheap bra, you already know where this one is going. Because maybe you didn’t want to spend the money on a big-ticket bra, or maybe you figured that all bras were the same behind the price tag, but chances are that you regretted it when the cheap bra fell apart after a few washes, or the wire snapped and started poking at you. If you want branding that is going to stick with you, protect you, and support you, then you have to be willing to invest in it. Time, energy, and commitment are necessary if you want to be sure that you end up with what you need, rather than something you regret ever picking up in the first place. Different bras are necessary for different days, activities, and events. The bra you wear on your day off to do housework is likely a very different bra than you wear to a gala at the opera, or to the 3k zombie run you’re doing for charity. The same thing is true when it comes to your business. The branding that you used when you were a smaller company may not be the same branding that works for you as you grow in size. Alternatively, if you shift your services or products, then you may need to consider adjusting your branding to fit your new image. And, in some circumstance, you may have to completely throw out an old branding strategy and start over with something that fits who you are now. Lastly, just like finding the right bra, it helps to have an expert on your side. Someone who can fit you perfectly, and who can find you just the right kind of bra for just the right activity. Someone who can find your unique selling point, and bring it out with the proper branding. If you need someone who can do that for you, then simply contact us today! Defining Your Brand Idendigi? Idendi... Who? What Does That Mean, Exactly?